"Great honor to be with Bush family and our advisory council members @Bush41Library for the unveiling today of the new @USPS postage stamp that will be released this June in honor of the 41st President's 95th birthday," Bush family spokesman Jim McGrath tweeted on Saturday. "The 41st president guided the United States through the end of the Cold War and drove the creation of a multinational coalition that successfully forced Iraq to withdraw from Kuwait in the Persian Gulf War. 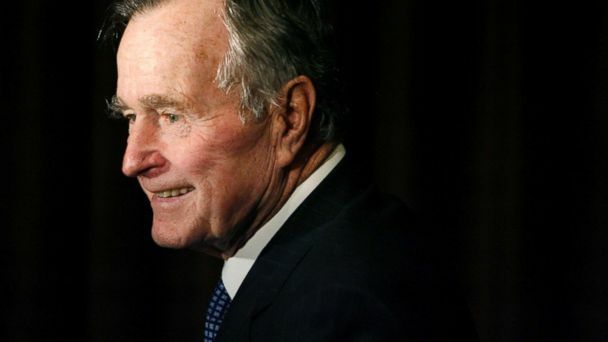 An advocate for public service, Bush explained his vision of a nation of volunteers as 'a brilliant diversity spread like stars, like a thousand points of light in a broad and peaceful sky,'" the announcement says.